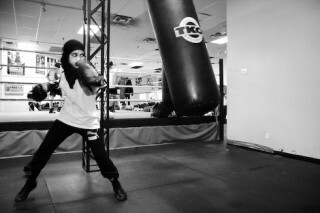 ARTFUL BLOGGER: Photo exhibition at Centrepointe Theatre asks: How can that woman be Muslim if she is playing hockey? 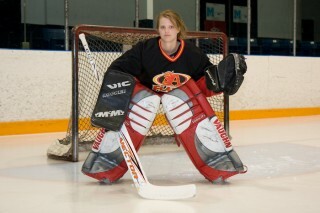 The photograph shows an athletic, young woman, sporting goalie pads and standing at a hockey net, ready to block a shot. We are told her first name is Louise and that she is an anthropology student at the University of Toronto. The only other thing we know about her is that she is Muslim. Louise. Photo by Asif Rehman. If asked to guess her religion, most people would probably not state “Muslim.” She looks far too “Canadian” for that. To most Canadians, the image of a Muslim woman is a woman swathed in hajibs, chadors, or burkas. 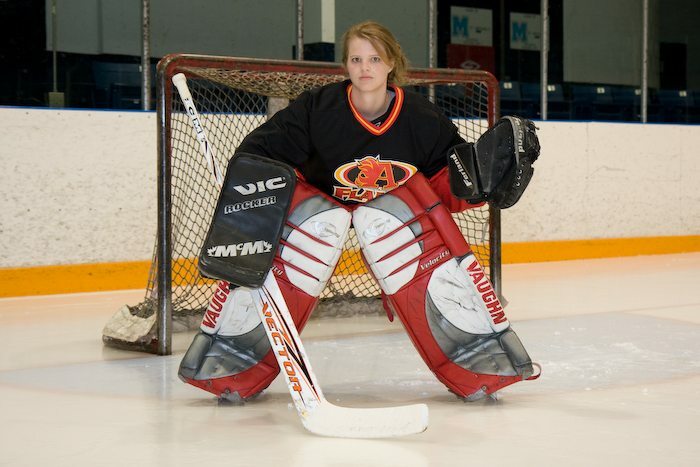 They are not women wearing goalie pads. The exhibition is called Muslim?! #4. Note the question mark following the word “Muslim.” Each photo in the show is meant to challenge stereotypes. We ask ourselves: “Can that person really be Muslim?” When that question is answered, the question mark becomes an exclamation mark of surprise. 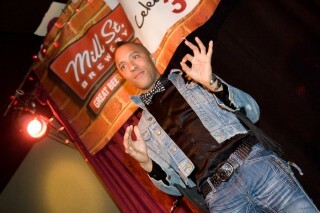 The “#4” refers to the fact that this is the fourth version of this ever evolving body of work Rehman has shown. Mombasa: boxer, PhD candidate. Photo by Asif Rehman. Rehman also recalls walking a friend through one of his exhibitions. “These people are the exception, right?” the friend asked. That question, in Rehman’s mind, reinforced the need for such an exhibition. “So, there is still a lot of work to be done,” says Rehman. Until Jan. 8. Centrepointe Theatre, 101 Centrepointe Dr. Free.